With all the buzz around GNOME 3, I really wanted to try it out for real on my main laptop. It usually runs Debian Unstable but that’s not enough in this case, GNOME 3 is not fully packaged yet and it’s only in experimental for now. This is pretty common in free software and for once I followed the advice, I spent most of sunday helping out with GNOME 3 packaging. I have no prior experience with GNOME packaging but I’m fairly proficient in Debian packaging in general so when I showed up on #debian-gnome (irc.debian.org) on sunday morning, Josselin quickly added me to the team on alioth.debian.org. Still being a pkg-gnome rookie, I started by reading the documentation on pkg-gnome.alioth.debian.org. This is enough to know where to find the code in the SVN repository, and how to do releases, but it doesn’t contain much information about what you need to know to be a good GNOME packager. It would have been great to have some words on introspection and what it changes in terms of packaging for instance. Josselin suggested me to start with one of the modules that was not yet updated at all (most packages have a pre-release version—usually 2.91—in experimental, but some are still at 2.30). So I picked up totem. I quickly updated totem-pl-parser as a required build-dependency and made my first mistake by uploading it to unstable (it turns out it’s not a problem for this specific package). Totem itself was more complicated even if some preliminary work was already in the subversion repository. It introduces a new library which required a new package and I spent a long time debugging why the package would not build in a minimalistic build environment. Indeed while the package was building fine in my experimental chroot, I took care to build my test packages like the auto-builders would do with sbuild (in sid environment + the required build-dependencies from experimental) and there it was failing. In fact it turns out pkg-config was failing because libquvi-dev was missing (and it was required by totem-pl-parser.pc) but this did not leave any error message in config.log. Next, I decided to take care of gnome-screensaver as it was not working for me (I could not unlock the screen once it was activated). When built in my experimental chroot, it was fine but when built in the minimalistic environment it was failing. Turns out /usr/lib/gnome-screensaver/gnome-screensaver-dialog was loading both libgtk2 and libgtk3 at the same time and was crashing. It’s not linked against libgtk2 but it was linked against the unstable version of libgnomekbdui which is still using libgtk2. Bumping the build-dependency on libgnomekbd-dev fixed the problem. In the evening, I took care of mutter and gnome-shell, and did some preliminary work on gnome-menus. There’s still lots of work to do, you’re welcome to do like me and join to help. Come on #debian-gnome on irc.debian.org, read the documentation and try to update a package (and ask questions when you don’t know). You can also try GNOME 3 on your Debian machine, but at this point I would advise to do it only if you’re ready to invest some time in understanding the remaining problems. It’s difficult to cherry-pick just the required packages from experimental, I tried it and at the start I ended up with a bad user experience (important packages like gnome-themes-standard or gnome-icon-theme not installed/updated and similar issues). The list might not be exhaustive and sometimes you will have to give supplementary hints to apt for the upgrade to succeed, but it’s better than nothing. I hope you find this useful. I’m enjoying my shiny new GNOME 3 desktop and it’s off for a good start. My main complaint is that hamster-applet (time tracker) has not yet been integrated in the shell. Make sure to look at the GNOME 3 PPA and copy the changes across – no point in doing it twice! True enough, but why not doing the work in Debian from the start? The packaging was in preparation in experimental for several months already… then it’s easy to upload the resulting source packages in a PPA. The opposite is more cumbersome. Furthermore while we have a quick view in the PTS of Ubuntu changes, this is not the case when the packaging is done in a PPA. 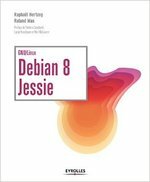 – We’re generally not running Debian so we can’t test them properly. – It would more than double the amount of time to do a packaging update. – We want the packages to hit the PPA asap so they get tested, waiting for them to go into experimental would be too slow. We do of course pull changes when Debian is ahead in version (as far as I could tell we have been ahead in most packages). The test part is certainly the most troublesome but something that can be mitigated, I mean it’s not about you doing everything… it’s about _cooperating_. If you’re the first doing the packaging, I’m sure some DD will be pleased to do the build, test and to upload. I don’t know why you believe that it would double the amount of time to do the packaging… I don’t think it would. And it would certainly reduce over time as the delta would me smaller. You can still upload to the PPA even before the package made it to experimental (although note that it’s quick to make it to experimental… the archive is updated 4 times a day). It just doesn’t sound like co-operation to me where both sides do packaging updates, but only one side is expected to push those changes into the other distribution (at a non-trivial cost in time). The correct module in my opinion is to collaborate on packaging standards and pull changes where this gives value for each project. Ubuntu is not just “built on top” of Debian. Both projects have different requirements and release schedules and that means there will always be packaging differences (even if only in upstream version). The distributions are in a sibling relationship, not a parent child one. Robert, you are entitled to your opinion, but I don’t share it. While I have respect for the work you do in Ubuntu, I don’t consider Ubuntu a sibling to Debian in terms of packaging. The automatic flow of packages is from Debian to Ubuntu… that makes it clear enough IMO. I know that for GNOME you’re always ahead of Debian and you’re way more agressive to push newer version but that doesn’t mean that the relationship needs to be inverted. In fact, I would really like to see more Ubuntu people involved in preparing the latest GNOME in Debian experimental and sync packages from there in Ubuntu. I still just build the shell using Jhbuild. I would rather use gnome 2 on top of it while things get sorted out. – dont work gnome-shell(delay of 20-30s and many other errors) Maybe my videocard NVidia 5500(128Mb,2000 fps) is too slow? – I disabled gnome-shell of 10 attempts. (fallback mode) Gnome Control Center need dconf? P.S. /etc/apt/preferences.d/gnome not working in aptitude: update to experimental. Any chance you could package gnome-shell for amd64 as well? I did upload a source package (along with the i386 build) so it’s going to be compiled on all architectures, don’t worry. The amd64 build is already available in http://incoming.debian.org and will be shortly on the mirrors. Ah, I see–that makes sense. Thanks. Very interesting post. Unfortunately I don’t feel atracted at all neither by Unity nor GNOME 3 so in the short-medium term I think I will throw myself into KDE waters … maybe Kubuntu … maybe OpenSUSE (and its very interesting Tumbleweed aproach) … I guess Debian also has a KDE branch … It’s not decided the ‘flavour’ yet, but the KDE jump is a closed issue. Either way … the post was very interesting. You can run any desktop you want with Debian, of course. And Tumbleweed is somewhat similar to “testing” in that it’s a rolling distribution. I enjoyed reading this article, category “worth reading”. Why did you use 150 as pin-priority? Does this update/upgrade automatically to new available packages on apt-get? I was used to 200 as value (IIRC from backports packages). 150 or 200 doesn’t matter, it just needs to be a value > 100 (the priority of installed packages) and < 500 (the default priority of non-installed packages). Kudos on the work, and whatever happened to the kickstart fund for translating your book? Did you ever settle on a provider for that? Thanks. Yes I will use ulule.com and it should happen in a few weeks of time, I’m finishing the update of the (French) book first. This week GNOME-3 made an enermous progress in the Debian repos (sid + exp). Can you comment on the recent updates – especially on your “Package: …” line? The pinning in still required (as long as the packages are in experimental) so the Package line doesn’t change really. But we have apt 0.8.14 now so it can be simplified… replace all packages where gnome appears with “/gnome/”. Package: /gnome/ alacarte brasero cheese ekiga empathy gdm3 gcalctool gconf-editor …. What about gdm3 ? It still stucked at version 2.30. Yes, Josselin started working on it but gdm is a package with many Debian-specific patches and it takes some time to update all those. evolution is fixed since monday, it was a trivial packaging error, and for evince it’s the same, Frédéric Peters will fix it today. gnome-session 2.91 instead of 3.0 is not a big deal, it probably hasn’t changed much. Will GNOME3 eventually replace GNOME2, or will the former still be available, the two being mutually exclusive? Yes, GNOME 3 will replace GNOME 2. But there’s a “fallback mode” in GNOME 3 that is very similar to GNOME 2 so you will still be able to use that. So what happens to users who are using a rolling Testing? Will all the desktop settings get migrated to GNOME3 and GNOME 2 packages be removed once it hits? Most packages will be just “upgraded” as usual. Very few packages will be removed as a consequence of the switch to GNOME 3. Hi there. I’m running Debian Unstable/Sid amd64. With and without the pinning I can’t seem to hop on over to Gnome 3. Any tips? Thanks! Hi Rubin110, you need to add experimental to your sources.list. When I initially commented I clicked the -Notify me when new responses are added- checkbox and now every single time a comment is added I get 4 emails with all the identical comment. Is there any indicates you possibly can remove me from that services? Many thanks! [WORDPRESS HASHCASH] The poster sent us ‘107152335 which is not a hashcash value. Delfina, I verified but the email you used is not (no longer?) subscribed. Maybe you found the link in the mail that allows you to unsubscribe by yourself. If that’s not the case, please forward me to raphael@ouaza.com the unwanted mails that you get. How does Debian unstable look like? Small parts of GNOME3 have already moved to unstable, but if you want a full GNOME 3 desktop, experimental is still required.